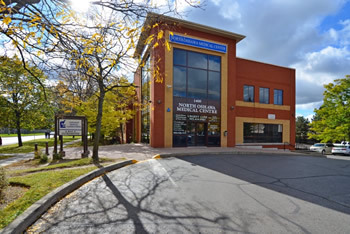 TORONTO, January 29, 2016 /CNW/ - Mohawk Medical Properties REIT, a private real estate investment trust, announced today it has acquired a full service, medical office building in the City of Oshawa, Ontario. The North Oshawa Medical Centre is 100% occupied by 100% medical tenancies. The building is home to the North Oshawa Medical Clinic as well as a pharmacy, laboratory, x-ray, physiotherapy and specialists. The property is situated on Ritson Road North, a north-south artery linking the neighbourhood directly with downtown Oshawa and Highway 401. Mohawk is a Toronto based private REIT specializing in healthcare real estate and committed to exceptional returns through reasonable risks. Sean Nakamoto and Andrew Shapack, whose combined track record includes 73 medical office building acquisitions, formed Mohawk in September 2012. The firm engages in acquisition, property management and asset management of Canadian medical office buildings financed through syndication to investors.